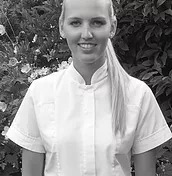 Bethany Garrett is a registered osteopath based at Prime Time Fitness providing osteopathy treatments, sports massage, medical acupuncture and kinesio taping. Osteopathy is a gentle and effective manual therapy used to treat a wide range of conditions including back pain, neck pain, sciatica and sports injuries. A combination of massage, stretching, mobilisations and manipulations are used to increase the mobility of joints, relieve muscle tension and enhance the blood and nerve supply to your tissues to restore your body to a state of balance. Bethany graduated with a distinction from the British College of Osteopathic Medicine where she was also awarded multiple prizes for her high achievements. Aside from osteopathy, Bethany enjoys running, horse riding and netball, and regularly takes part in muddy runs! Look out for her at the gym and if you have any questions please ask! ​I’m fully committed to achieving great results for my clients not just during their sessions but also to provide them with the support they need to achieve their goals outside of their sessions overcoming hurdles together which is why my clients get great results.